Monday advocating for greater protections. SAN LEANDRO CITY COUNCIL | After months of public comment and vetting, the San Leandro City Council approved this week new regulations for its Rent Review Board. The changes include lowering the threshold for tenants to protest rent increases along with the opportunity for renters in single-family dwelling to file complaints. In approving the changes, some San Leandro councilmembers suggested further tenant protection should be enacted in the near future, including a just cause ordinance and relocation payments for evicted renters. The amendments approved Monday night lowers from 10 percent to 8 percent the rent increase threshold allowing tenants file complaints with the board. The ordinance maintains another threshold for $75 increases. City staff had sought to raise the figure to $100. Renters receiving rent increases twice within a 12 month period can also file complaints with the review board. In addition, at the urging of Couuncilmember Ursula Reed, the lone renter on the City Council, tenants now have 30 calendar days following notice of rent hikes to file written complaints to the review board, up from 15 business days. However, while the public in attendance welcomed the changes, a vast majority of the larger-than-normal audience consistently advocated for far stricter tenant protections, such as rent control. Many of the public speakers were Spanish-speaking renters who addressed the council using a translator. Monday night’s council action comes at a time when San Leandro’s housing situation was portrayed by city staff as less dire than other East Bay cities like Oakland. San Leandro has some of the lowest average rents in Alameda County,” said Tom Liao, the city’s deputy community development director. During the third quarter of the last fiscal year, rents increased by 11.9 percent, which represented the ninth lowest rate in the county. But supply is also scant. During the same period, San Leandro’s occupancy rate was 98.9 percent, the highest in the county. It may suggest the dramatic rent increases and mass evictions plaguing other nearby cities could be on its way to San Leandro. The city’s Rent Review Board received a large increase in hearings last fiscal year. Twenty-six were heard during the past fiscal year ending in June. Over the five months since, the board already has 21 pending cases. “We’re definitely seeing a rising number of hearings,” said Liao. Legislation could be one the way, based on Monday’s discussion. Councilmember Lee Thomas proposed the council look into helping long-time residents with landlord-paid relocation payments. “I don’t see how anyone can expect a tenant not only find a place but have the deposit to move into a new place,” said Thomas. Later, Councilmember Jim Prola urged for future discussions for enacting a just cause ordinance, delineating when a landlord can evict a tenant. 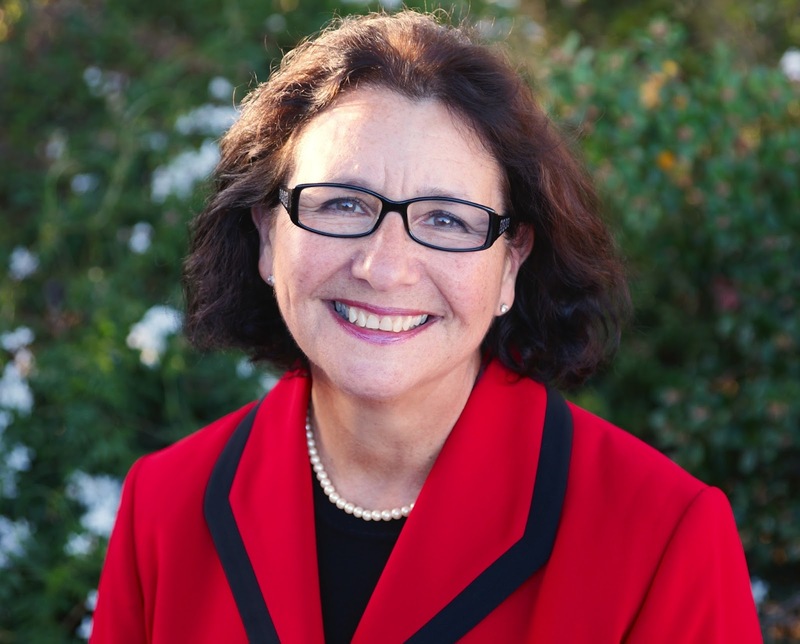 Mayor Pauline Cutter, however, was skeptical that rent control is the right solution to rising rents and evictions in San Leandro and urged to “get something that is right for San Leandro.” Cutter added the Rent Review Board has been effective in the past. “I’m not quite certain the product is broken. I want people to invest in our city,” said Cutter. “I don’t want rent control.” She reasoned the city’s rents are not high, as opposed to other cities, and questioned whether reports of staggering rent increases are widespread without data. Posted in evictions, Jim Prola, just cause, Lee Thomas, Mia Ousley, Pauline Cutter, rent review board, san leandro, san leandro city council, Tom Liao, Ursula Reed. Bookmark the permalink. Of course rents, and also the price to buy a house, are “rising” a lot. In fact, one of my neighbors bought his house back in the early 1970's for slightly over 20K, and now his house would probably sell for about 500K, and that is even in spite of the fact that over the last few decade my neighborhood has experienced much less real estate price inflation than most other Bay area neighborhoods. However, actually the price of his house has not really gone up, it is just that the “value” of the worthless paper money we refer to as US currency has gone way down. More specifically, our paper money is not backed up anymore by gold or silver or by anything else, it is nothing but useless and worthless paper, and largely courtesy of the high ranking liberals who have been running, and destroying, this country for most of the last several decades. In fact, anyone who accepts worthless US paper in exchange for any hard and valuable asset, and such as for instance a house, should immediately use that worthless paper to secure ownership of another valuable asset, and such as for example another house, and before more people start to realize that US paper is actually totally worthless, and that is when we will begin to see an inflation rate that will make even the last last few decades of huge inflation seem like nothing. I live in a Senior development – Mission Bay – in San Leandro. Because I have to “lease” my mobile home space to the owners, they are allowed to raise our rent 3% a year by law. And guess how much they raise our rent per year? When you live on Social Security and do not get a cost of living raise like this year…my food budget goes down, my rent cost goes up. We need rent control in San Leandro. Thank god for Ousley, Reed, Prola and Thomas. Concerning the post of 6:54PM, I wish I knew of a quick and easy solution to the problem of rising prices, and including rising rents, since in the coming decades the problem of rising prices, and including rising rents, is going to get even many times worse than it already had been for the last few decades. And for that you can thank the “experts,” and who have been primarily Democrats, who have infested Washington DC, certain universities, and various liberal “think” tanks over the last few decades. To give a little history. Back in the early 1970's the price of gold was $35 an ounce, but now it is slightly over one thousand dollars an ounce, In other words approx. thirty times as much. Also in the early 1970's the price of oil was approx. three dollars a barrel, however in recent years it has been averaging in the neighborhood of approx. $100 a barrel, also approx thirty times as much, and not withstanding the fact that right now it has temporarily fluctuated into the thirties, however obviously it will eventually go back up, and in fact way up. The Dow Jones Industrial Average right now is slightly over 17,000, however a few decades ago, and such as for instance in the late 1960's and early 1970's, it was considerably under 1000, and if I remember correctly about 600, and about 600 multiplied by about thirty comes to about 17,000 or 18,000, and still furthermore one of my neighbors bought his house in the early 1970's for approx 20K and now it would sell for about 500K, in other words approx. twenty-five times as much. So do you see a pattern here!!! IN OTHER WORDS PRICES HAVE NOT ACTUALLY GONE UP, IT IS JUST THAT OUR WORTHLESS PAPER MONEY HAS GONE WAY DOWN AND GOTTEN CHEAPER AND CHEAPER. Back in the old days our paper money was backed up silver and gold and US paper money actually had inscribed on it the words “SILVER CERTIFICATE.” In other words, it was real money and actually backed up the US government and Fort Knox. Basically, it was a promissory note one hundred percent backed up by hard assets. However now it is just totally worthless play money and sort of like a game of musical chairs, so of course sophisticated people want a lot more of that play money if they are going to get paid in that play money, and rather than real money, in exchange for a hard asset, and such as for instance real estate or gasoline or oil, etc. To give some more background, as previously mentioned US paper money used to be 100% backed by silver and gold. However the “geniuses” in Washington DC, the liberal “think” tanks, and the economics departments in such prestigious universities as Harvard, and who in their hallucinations thought and think they understand economics, decided the nation could greatly improve the economy by printing and circulating a lot more paper money. So they therefore decided that each thirty five dollars of paper money would no longer be backed up by one ounce of gold, but only by a fraction of an ounce. And then they every few years still further lessened the amount of gold or silver backing up the amount of paper money in circulation. IN OTHER WORDS, INFLATION. And then finally some years ago they made the situation still many times worse by deciding that our already greatly devalued paper money did not even need to be backed up even a tiny bit by a real asset, and such as silver or gold, but only by the reputation of the US government. AND AS A RESULT, INFLATION REALLY GOT ROARING. In other words, a lot of the “genius” liberal “economists,” and such as for instance Harvard's John Kenneth Galbraith, should have been removed their professorships and instead permanently housed in homes for the severely mentally retarded. If the landlords don't get wise they will get rent control. Renters are pissed off and won't take it no more. Pity the politicians that side with them. Every person has a right to affordable housing.